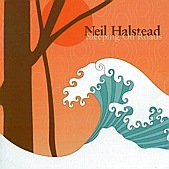 Neil Halstead can tell a story. With a gutsy, but sensitive voice, he unwinds the tale as it happens, taking you in and sharing his narrative with you. Helping to make the anecdotes come to life is his acoustic guitar and sparse instrumentation, such as piano, banjo, and trumpet, as well as the standard drum and bass backing. Dark and whispery, like a late night in the cold next to a warm fire, Halstead has you hanging on his every word, breathing in his every breath and becoming one with the folk-y pop tunes he spins. Captivating and enlightening, Halstead is a musician's musician. I'll give this an A.